EMS is constantly reaping the benefits of advances in technology. Pulse oximetry, 12-lead ECG, and even video laryngoscopes have found their way onto ambulances and have changed the practice of prehospital medicine. Capnography is another important advance, and a solid understanding of what it reveals about our patients can mean the difference between quality care and respiratory arrest. 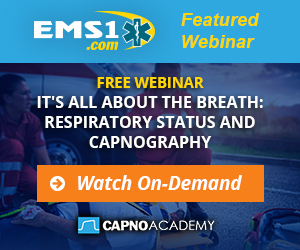 Read 5 things to know about capnography and take this quiz to test your knowledge of capnography.